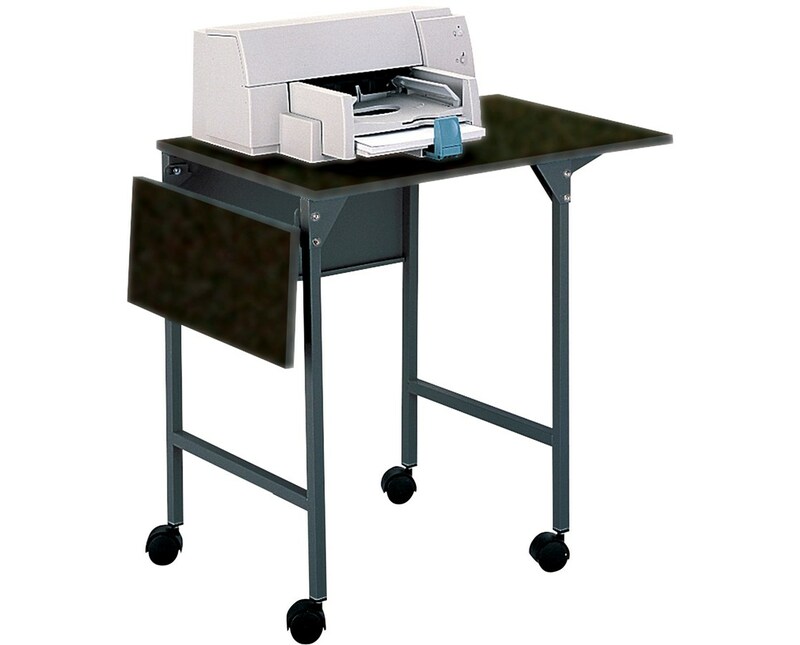 The Safco Machine Stand with Drop Leaves is a versatile unit for holding printers, fax machines, and other office equipment that can also be used as a work surface. It features two eight-inch drop leaves that expand the top from 20 inches to 36 inches. 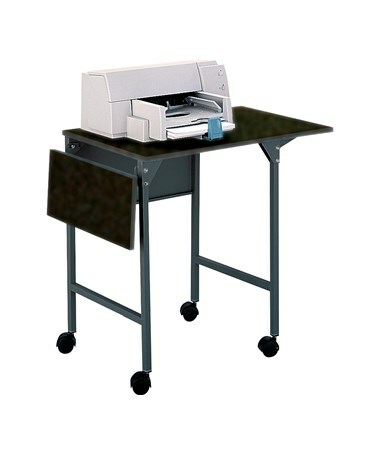 It has a back modesty panel to discreetly cover the lower part of the stand. This machine cart is strong enough to hold up to 150 pounds of weight. Also included are four dual wheel swivel caster for mobility and two of these casters can be locked. The stand’s top and drop leaves are made of furniture grade wood with stain and scratch resistant black laminate finish, while the legs are made of steel with metallic gray finish.